The results are in! Runners in the College Park Mother’s Day 5K can see their results here, from our partners at Blue Point Timing: http://bit.ly/5KResults2015. 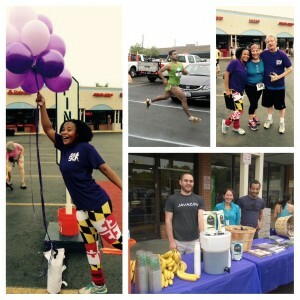 The Mother’s Day 5K was the third and final race in the College Park 5K Series. College Park Community Foundation is proud to have partnered with UMD’s Office of Community Engagement and Campus Recreation Services to bring you this three event series. We appreciated the opportunity to bring together the College Park campus and community to promote health, wellness, and community building! The Mother’s Day 5K had 119 runners and more than 30 volunteers–we appreciate everyone who came out. We would also like to once again thank our generous financial sponsors and in-kind donors: The City of College Park, North College Park Citizens Association, Berwyn District Civic Association, MOM’s Organic Market, REI, and Road ID. Stay tuned for more pictures from this great event, and we hope to see you back next year! This entry was posted in Foundation events, Other community events by richard. Bookmark the permalink.